Aging backward through time, Jolly Pumpkin founder Ron Jeffries has forgotten more about sour beer than most humans will ever know. Fortunately he gets to relearn it all. Every day. 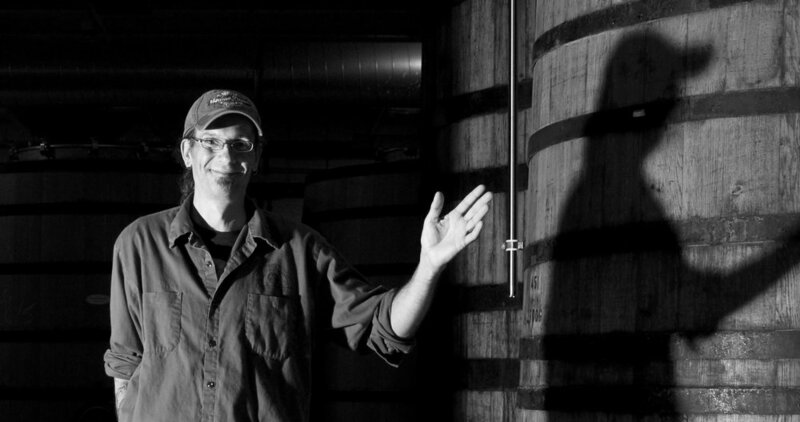 Ron Jeffries is responsible for Jolly Pumpkin Artisan Ales brewed in Dexter, MI. As brewmaster, Ron’s goal is worldwide recognition as a brewer and creator of beers of outstanding art and grace. He is a philosopher of all things beery, and an outspoken advocate of the slower, finer life. Ron began studying brewing science in 1991-ish with one eye always towards opening his own brewery. He began brewing professionally in 1995, and quickly became a well-known and respected brewer in Michigan’s emerging craft beer scene. Driven and dedicated, he progressed from brewer, to craftsman, to artist, and most recently to philosopher and visionary. Beginning to learn to step back, and decelerate the hectic pace of modern life to a slower, more livable, more enjoyable walk, he learned to smile and laugh. Ron was finally able to open his own brewery, Jolly Pumpkin Artisan Ales, in the summer of 2004. Running Jolly Pumpkin, Ron now practices the art of “Hawaiian time,” full time. The name bubbled four years ago on a warm spring afternoon. It was one of those rare sunny March Michigan days, the kind that seems much warmer than March really has any right to be. Small piles of snow still dotted the yard as my wife and I sat on the patio in our short sleeves. Sipping beers and enjoying the sun on our faces after the long, dark, cold Michigan winter. After firming up our business plan for months, the dream had finally evolved enough to need a name. So we sat, pen and paper in hand, brainstorming, smiling, and laughing.